Unlike on the silver screen, when a reader has curled up into a corner to read your book, they are not fed the action. Instead, they have to sit and use their imagination. This could be the reason why so many people admit that they don’t read much. Those same people will not be embarrassed to admit they are an avid movie watcher. 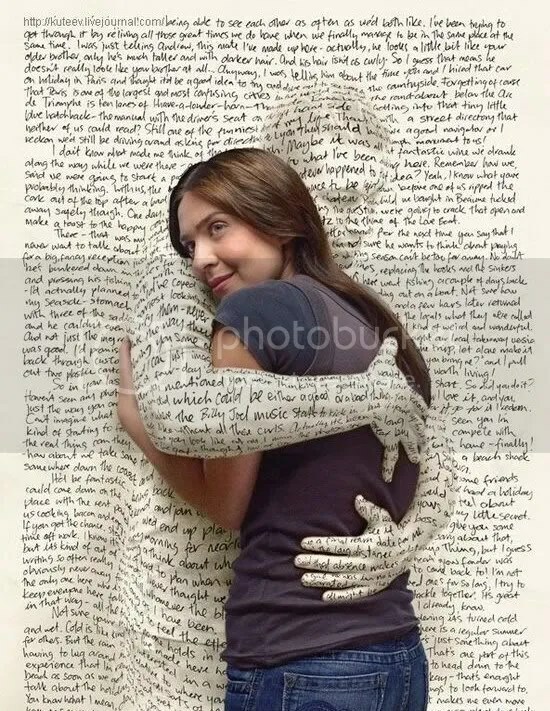 This is why when it comes to writing you must be able to hold your reader’s interest with descriptive scenes, paragraphs, and over all creativity. First, I want us to take a look at a few things. Just to get us started on being more descriptive and creative. People: Removing the stick figure image. There are a few ways to write sentences one being very bland and simple, the other being bold and spicy. When describing people, if you’re not very observant you may have trouble at first. Look around you. No one is the same. They aren’t all just plain tall, skinny, short or fat. Everyone has something unique about the way they look. You can almost always notice it right off the bat. You may even say, “She looked like… He reminded me of….” Let’s take a look at the first sentence and then compare it to another that is written more descriptively. Dylan was tall, with big eyes, muscles, and a nice haircut. Doesn’t really give the reader anything to go on, right? Let’s take that same sentence and break it apart to create a new bolder desciption of Dylan. That’s great that we know he’s tall, but how tall exactly is Dylan. Tall could be six feet, or seven. We don’t know because we have not been given full detail. Ask yourself, what you see when you see Dylan in your head. It may be someone you already know, or it may be someone you conjered up with your imagination. Let’s pretend Dylan is Six foot four. The sentence revised would look like. Dylan stood six foot four. Ok, wonderful now we at least know how tall he REALLY is. His eyes were wide, like those of a curious schoolboy. Dylan stood six foot four,His eyes were wide, like those of a curious schoolboy. Excellent! we now atleast have a clearer picture of Dylan. We know that he is precisely Six-foot four, and has wide eyes like a school boy. Let’s move on to the rest of the sentence. Just muscles…? Where are these muscles? Are they in his biceps, triceps, calves? Let’s say he has the whole package, but is not too muscular. How would that sentence look? Dylan was slender, but his muscles were firm and sculptured proportionately. You may always go further into detail. If you want you can give him Abs, just not abs of steel, you are the artist paint him how you wantl. The Abs and buns of steel thing is just so worn out. He was slender, but his muscles were firm and sculptured proportionately,along with his finely, detailed Abs.. (Even I want to date Dylan). Dylan stood six foot four,His eyes were wide, like those of a curious schoolboy. He was slender, but his muscles were firm and sculptured proportionately,along with his finely, detailed Abs. That’s quite a bit of information about him. I can already picture Dylan. Can you? The last part of the sentence can be made to describe all types of men. Haircuts vary by race. For an African-American male it could be a Fade that’s wavy, an Afro that’s brillo. For a Caucasian male it could be long and silky, or short and spikey. It depends on what you have in mind. In my vision Dylan has a close haircut, with deep waves and a perfect edge. And the award for BLAND goes too…? Let’s remix it a little. I will put my personal touch on it. Dylan had a clean cut, all even with soft textured deep waves to set off its perfect edge. Now we have a paragraph full of detail. Let’s see what we have. Dylan stood six foot four,His eyes were wide, like those of a curious schoolboy. He was slender, but his muscles were firm and sculptured proportionately,along with his finely, detailed Abs. Dylan had a clean cut, all even with soft textured deep waves to set off its perfect edge. To the more descriptive paragraph above. Remember when you are describing someone or something make sure you include full detail. Leaving out one thing can hinder your whole vision. If your character has Brown eyes, you don’t want to say just brown. There are so many colors that coincide with brown it’s a shame. What about chestnut brown, or mocha? Don’t forget Pecan and Hazel. There are so many ways to doctor-up your sentences. It is up to you as the artist to figure out how you want to go about it. Though you do not have an easel or paint brush, just like the painter or sketch artist you must paint a picture for your readers. They need to be able to see your character so that they can relate to his/her situation. If you are reading the newspaper, and see the story of a woman who went missing. The woman being described as an African-American Female with short black hair and a slender frame has no picture, so you turn the page. You would not turn the page if there was a more detailed description and perhaps a picture. You want to be able to sympathize and relate. You can’t do that if you can’t see an actual person. Play around with different descriptions until you find one that is suitable to you. Avoid bland words like Tall, slim, pretty, beautiful, cute, short, fat. If you are going to use these words spice them up. She was tall enough to reach the top of an oak tree. There was not a slender bone in her body; Her body was set up just right. She was not just pretty, but beautiful and bright as a daisy in springtime. Her set of pouting lips were cute on her short round face. Her back side was plump, or as the brothers said, “Fat.” Spelled Phat. Now, that’s just how I do things. Everyone has their own style. Utilize your imagination and don’t be afraid to use it, Because a picture is worth a thousand words.